Today, Prince Alfred Park is a public recreational space bounded by Church and Market streets, Victoria Road and Marist Place. In the colonial era, though, it was known as ‘the Gaol Green’ and ‘the Hanging Green’; the site of the colony’s first two gaols, court-ordered punishments and executions. Between 1802 and 1821, the upper floor of the second gaol also housed the ‘Factory Above the Gaol,’ the first of two female factories at Parramatta. Both the Gaol and the Female Factory were relocated to separate locations in North Parramatta after the building deteriorated and proved inadequate for the young colony’s ever-increasing convict population. With the green vacated, and its history of crime and punishment a rapidly fading memory (in part due to its 1860s rebranding as ‘Alfred Square,’ the namesake of a royal visitor) the space entered a new phase as a public park. Yet, as reports of heated debates in Parramatta Borough Council and the evidence of civic-minded townspeople pushing for its beautification and maintenance attest, it was the incorporation of Parramatta as a municipality that was most instrumental in bringing about the site’s metamorphosis from a grim place where lowly convicts were incarcerated and executed to a space worthy of a royal title. Prior to European settlement, this was possibly a site frequented by the Burramatta people. With the arrival of the newcomers, the area that is now the park and the space currently occupied by the Riverside Theatres contained, from 1790, government farm buildings and women’s convict huts. By the end of the decade these structures were replaced by the colony’s first gaol. After inmates set the log prison alight in December 1799, a second two-storey stone prison was constructed on the same spot in August 1802. Its upper level served as a wool and linen factory for female convicts to work in by day and as a refuge for the women by night. In 1821, the factory section of the gaol complex was relocated to the purpose-built Female Factory at the end of Greenup Drive, off Fleet Street in North Parramatta. More than one ‘Old Parramattan’ wistfully reminisced in the late nineteenth century about the ‘good old days’ when it was a common sight to see eight or nine ‘refractory criminals’ – male and female – doing time in the stocks set up outside the gaol walls for all and sundry to behold. According to one such old-timer, Mr Gilbert Smith, the stocks’ inhabitants had usually been found guilty of drunkenness and chose two hours in the stocks over a fine of five shillings. Since no one was permitted ‘to pelt or otherwise molest the culprits’ whilst in this vulnerable posture, it might have been preferable to grin, bear it, and hold on to one’s money. However, Mr Smith’s fond recollections of the good old days, in which regular punishments were passed off as a harmless form of public amusement, are a nostalgic and sanitised version of the Gaol Green, for public executions in the form of hangings were carried out here, too. The most famous of these executions occurred in 1804 when three men identified as ringleaders in the Castle Hill rebellion ‘The Battle of Vinegar Hill’ were hanged here. One of those three, Samuel Humes, was also gibbeted; a gruesome practice in which an executed person’s body was hung in chains from gallows to deter other members of the public from engaging in similar unlawful activities. Although the area was deemed a ‘village green’ as early as 1837, the site’s criminal past was not completely behind it until 1842 when a new, larger prison facility opened on the corner of Dunlop and New streets in North Parramatta. With work on the new gaol underway, on 27 November 1837 Governor Bourke authorised the use of the Gaol Green as a public reserve covering over three acres. While a fence demarcating and enclosing the new space was erected, and some alterations were made to the land with the aim of making it more pedestrian friendly, by 1853 townspeople complained that their common area was being used as a rubbish dump. However, the difficulty of maintaining and developing communal spaces was soon to be improved by the introduction of the new Municipalities Act 1858, which localised government and gave the subsequent council the authority to allocate funds to improve community services and spaces. 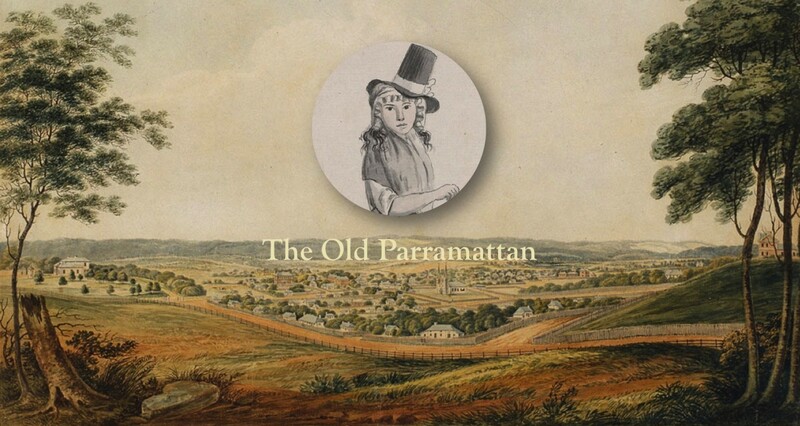 On 27 November 1861, the Municipality of Parramatta was proclaimed and by January 1862 Parramatta had its first mayor in the form of a (pardoned) pick-pocketing convict turned publican, John Williams, whose life trajectory was in its own right akin to a pauper-to-prince transformation. After a real-life prince, Prince Alfred, Duke of Edinburgh, became the first British royal to tour the colony in 1867 and 1868, the park’s transformation began in earnest. He visited Parramatta, arriving by river, and was greeted at the wharf by heavy rain and all the townspeople who were apparently unperturbed by the inclement weather. To honour him, the village green was named ‘Alfred Square’ and soon after a special ‘Tree-planting Committee’ was formed within the Parramatta Borough Council. The Anderson Fountain. Photo: Michaela Ann Cameron. By 1871, the council also opened tenders for Alfred Square ‘for the purpose of depasturing stock’ and ‘carting.’ They even considered the area for the location of the greatly desired and much needed Parramatta Town Hall before the old market site in Centenary Square, also known as Parramatta Square, was deemed more suitable. To mark Parramatta’s centenary in 1888, the Anderson Fountain was moved from its original location near the Town Hall to Alfred Square to make way for the more ornate Centennial Fountain. The beautification of the reserve, however, was not without its challenges. Freak storms led to the costly damage of railings and ‘trespassing cattle’ tore and bruised the park’s only oak tree. Young ‘Sunday Larrikins’ and ‘hoodlums’ were also known to be ‘violently opening the large gates,…defacing the palisade fence,’ and throwing rocks at the trees, causing them – as well as innocent bystanders – serious injury. The fences were in a constant state of dilapidation but limited funds meant temporary repairs were favoured over replacements and when new fences were authorised, the contractor could not be compelled to finish the work in a timely manner. ‘Falstaff on Gad’s Hill,’ by Charles George Harper, Half-Hours with the Highwaymen: Picturesque Biographies and Traditions of the “Knights of the Road,” (London: Chapman & Hall, 1908), p.219. Falstaff is a character in three Shakespeare plays, known for being overweight and leading others into trouble. The first half of the twentieth century saw a number of notable additions to this civic space. Landscaping and the addition of architectural features endowed the park with a greater sense of grandeur; a change that is perhaps reflected in the gradual transition of the toponym ‘Alfred Square’ to a full-fledged princely park. Both names had been used interchangeably for some time but ‘Prince Alfred Park’ finally eclipsed the humbler appellation of Alfred Square in the newspaper reports of the day. In the Federation era, particularly, the park began to adopt its current visage with the inclusion of an avenue of Phoenix canariensis palms, which created the south-east/north-west diagonal pathway recognisable today. A second, south-west/north-east diagonal avenue was added in the mid-twentieth century with the planting of brush box and jacaranda, while Washingtonia robusta palms, jelly palms and firewheel trees were also planted elsewhere in the park. The Parramatta War Memorial was constructed in 1922 to commemorate World War I and, eventually, other subsequent conflicts. Another interesting but less imposing feature of the park from the interwar era is the State Heritage listed ‘Bills Horse Trough’ on the Victoria Road footpath, one of 500 troughs built around 1930 throughout New South Wales and Victoria. For all its superficial changes, Prince Alfred Park has retained its fundamental function as a space where locals can enjoy ‘brilliant illuminated’ festive events such as Parramasala and Winterlight, during which the night air is ‘made sweet with melodious strains’ just as it was over one hundred years ago. Australian Government Department of Environment,’Prince Alfred Park, Victoria Rd, Parramatta, NSW, Australia,’ Australian Heritage Database, accessed 16 July 2014. Matt Shand, ‘Winterlight is back with a new location,’ Parramatta Advertiser, June 21, 2014, accessed 16 July 2014. Gallagher Studio and Casey & Lowe, ‘Draft Prince Alfred Square Landscape Masterplan for City of Parramatta,’ Part 1, (Parramatta: City of Parramatta, 3 August 2016), p.13, accessed 4 August 2016; State Heritage Register, ‘Parramatta Archaeological Management Unit 3110: Prince Alfred Park, First and Second Parramatta Gaols,’ accessed 12 July 2014. Heritage Council of NSW, ‘Parramatta Archaeological Management Unit 3110: Prince Alfred Park, First and Second Parramatta Gaols,’ State Heritage Register, accessed 12 July 2014. Renamed ‘Centenary Square’ in 2014 when the space was redeveloped. Evening News, Monday 8 March 1880, p.3. ‘Falstaff’ is a character in three of William Shakespeare’s plays including Henry IV, Part I, Henry IV, Part II and The Merry Wives of Windsor. He is known for being overweight and leading other characters into trouble. Heritage Council of NSW, ‘Horse Trough / Bills Horse Trough Adjacent to Prince Alfred Park,’ State Heritage Register, accessed 16 July 2014. ‘Gollan Clock,’ Cumberland Argus, Wednesday 22 July 1953, p.1. Note that this article says the Anderson Fountain was at the time located on the proposed spot of the Gollan Clock and that the fountain would be moved to another part of Alfred Square, where it is currently situated: the corner of Marist Place and Victoria Road.